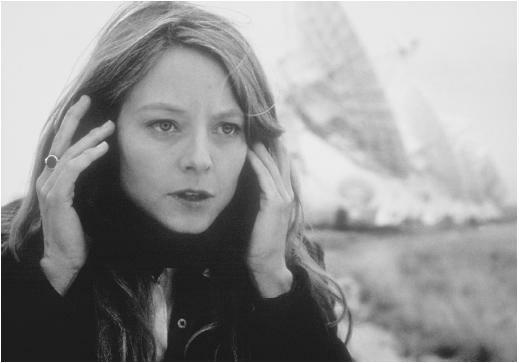 Do you remember the radio telescopes in the Film Contact where Jodie Foster and her team of geeks received the first haunting signal from alien intelligence? That was actually the Very Large Array run by the NRAO in Mew mexico and it has just finished a big upgrade to its electronic systems. They think that VLA is not a sufficiently imaginative and so they want to rename it but they also want the public to come up with the new name. You can very quickly and easily make a suggestion or several suggestions here. I have already suggested “Carl Sagan Radio Observatory” and I am sure I will not be the only one using that theme. The BBC has gone for “Unfeasibly Large Telescopes”. There must be some more sophisticated ideas out there, so submit them and let us know. On 15th June 2011 you can watch a total eclipse of the moon. 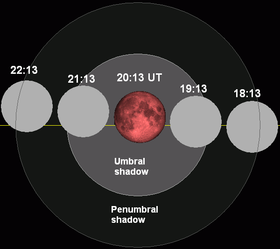 Total lunar eclipses are not very rare, they come on average once a year, but this one is exceptionally long. Firstly, the moon will pass through the centre of the Earth’s shadow which last happened about 11 years ago, but also because the sun is more distant at this time of year and the Earth is a little closer to the moon. This makes the Sun look smaller and the Earth look bigger from the moon’s surface. In fact the eclipse will be total for 1 hour and 41 minutes. That is only five minutes short of the longest possible. The Eclipse will be visible over most of Asia, Africa, Europe, Australia and South America, leaving only North America and a few other corners of the world with no chance to see it. About 90% of the world’s population can view at least part of it directly, weather permitting. For the rest the internet saves the day with some live webcasts of the event. So far three organisations are planning webcasts so it is unlikely that they will all be clouded out. Just so you have some advanced warning of predictable events that are likely to feature on this blog, I have added a Science Calendar at the bottom of the right hand column. Suggestions for additions are welcome, but may be ignored. viXra Log is nominated for best science blog post at 3QuarksDaily. Voting end tomorrow. Update: Currently in about 28th position, needing to be in top 20 to make final round. Today seven scientists are up to $500,000 minus tax richer for having won this years Shaw Prizes. 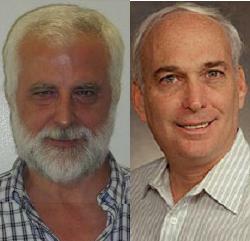 First up are Enrico Costa and Gerald J Fishman for leading the NASA mission that resolved the origin of gamma ray bursts. It does not seem to many years ago since gamma-ray bursts were regarded as one of the great unsolved mysteries of science. They had first been detected in 1967 by the Vela satellites which had been placed in orbit by the US military to check that the USSR was not detonating nuclear weapons in contravention of the 1963 partial test ban treaty. Nuclear explosions would send gamma rays into space where the satellites would detect them. Instead they observed gamma ray bursts coming from space. From 1973 when their existence was declassified until 1997, these events were so mysterious that astronomers could not even tell if they came from nearby in our galaxy or billions of years away across the universe. NASA launched the BeppoSAX satellite to try to resolve the question, In 1997 it observed a powerful gamma ray burst which left an afterglow long enough for Earth based telescopes to lock onto its location just 8 hours later. Now they could see that it came from a very distant galaxy. The gamma rays are so bright at that distance that it is inconceivable that they are being radiated equally in all directions in such a short space of time. The amount of energy that would have to be concentrated into a small volume is juts not possible. It is thought that they come from energetic supernovae with a rapidly rotating remnant that focuses the gamma rays into a tight beam. we only see the burst for the small fraction of events where we happen to lie in the direction of the ray. 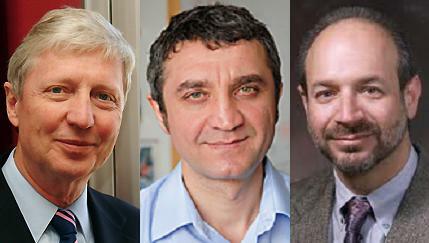 Next were Jules A Hoffmann, Ruslan M Medzhitov and Bruce Beutler for uncovering the biological mechanisms for innate immunity. When an animal or plant is infected it deploys a number of mechanisms to defend itself. One of the first is the innate immune system, thought to be one of the earliest mechanisms to evolve because it is so widespread across diverse forms of life. In plants it remains the dominant immune system, but advanced animals have developed more effective systems of adaptive immunity that can change to attack specific viruses or other contagents. Understanding all forms of immunity is vital to medicine because it provides the knowledge needed to find drugs that help us fight diseases. 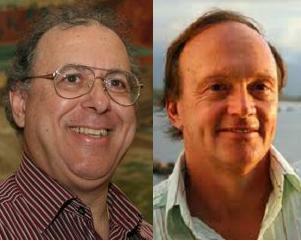 Finally, Demetrios Christodoulou and Richard S Hamilton won the mathematics prize for work on differential manifolds with implications for general relativity and the Poincaré conjecture. When Grigori Perelman famously turned down the Fields medal and the million dollar Clay prize for resolving the Poincaré conjecture, he said that his reason was that other mathematicians such as Richard Hamilton has contributed just as much to the proof. He need not have been so concerned since Hamilton has now himself been recognized with a lucrative award. It was Hamilton who discovered the theory of Ricci flow on differential manifolds that lead Perelman to his proof of the Thurston geometrization conjecture that was known to imply the truth of the Poincaré conjecture, a mathematical problem that had remained unsolved for a hundred years. 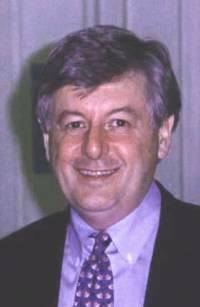 Demetrios Christodoulou is a mathematical physicist who worked for his doctorate at Princeton under the direction of John Wheeler. He is known for his extraordinarily difficult proof of the unsurprising fact that flat empty Minkowski space is stable under the action of nonlinear gravitational dynamics as described by general relativity. You are currently browsing the archives for the Science News category.